Dong Xuan market in Hanoi’s Old Quarter was the first market in Hanoi. Its history is closely associated with the trade development of Hanoi. It is not just a market but also a cultural venue that reflects the lifestyle of Hanoians. After filling in part of the To Lich River, Dong Xuan market was founded in 1889 by the French and named after its location. Previously, trade activities took place along the river and on both banks of the river. At that time, the market was a favorable trading place, especially after the French built Long Bien bridge. In the early days, the market had a metal roof and covered 20,000 square meters. 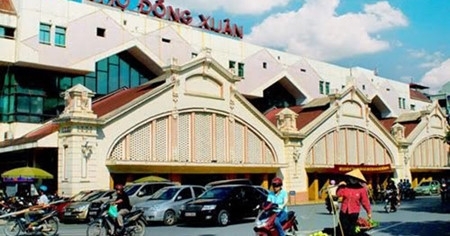 Previously, it was called Dong Xuan-Bac Qua market and had a lane inside. Following a huge fire in 1994, the market was rebuilt over 2 years. Now, the market has 3 storeys covering an area of approximately 9,600 square meters. The front retains its original architecture. There are three entrances in the front and 2 on both sides on the ground floor and two open staircases leading to the market. Inside the market, there is a modern elevator and 5 staircases. Together with other famous destinations in the Old Quarter like Hang Ngang, Hang Dao, Hang Bong, and Hang Gai, and the Hoan Kiem Lake, Dong Xuan market attracts a lot of tourists. 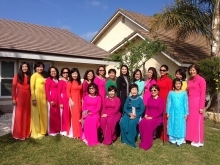 Founded in 2003, Dong Xuan night market has offered diverse services. 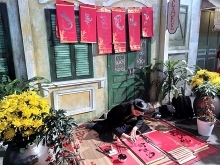 Many cultural activities are held including performances of Xam singing, Cheo theater, and Quan Ho folk duet singing. The Dong Xuan Joint Stock Company has diversified tours of the market to attract more visitors and further promote its image.